There are only sketches found of this project in the archive. 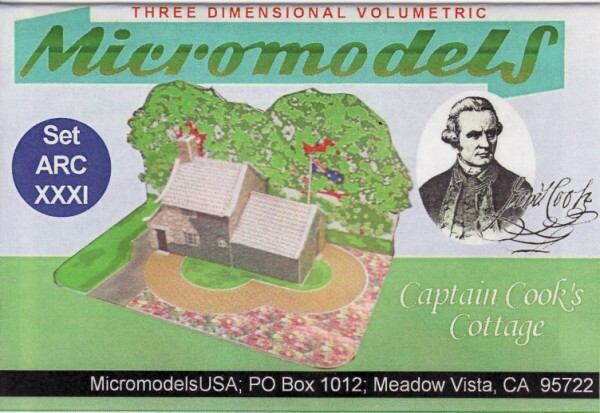 MicromodelsUSA has issued a model of Captain Cook’s Cottage. They created the model following the style of the London Gates and similar architectural models.